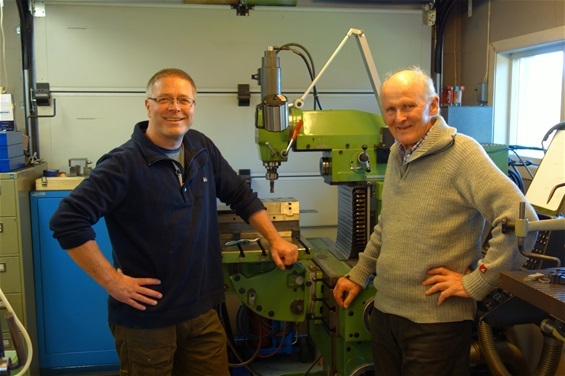 Bjørn Pedersen, a retired toolmaker at, «Sentralinstitutt for industriell forskning (SI) » (Central institute for industrial science,) visited my shop 17 October 2015. When he worked at SI he was in charge of this Deckel FP3. It was a warm meeting between man and machine. Bjørn to the right.